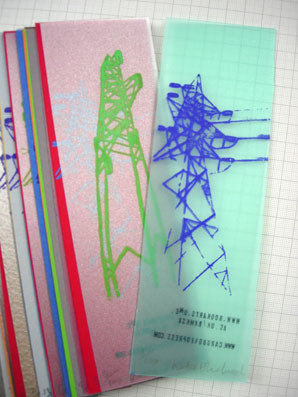 I am taking part in a bookmark project called Bookmarks 8 – Escaping the Library System. 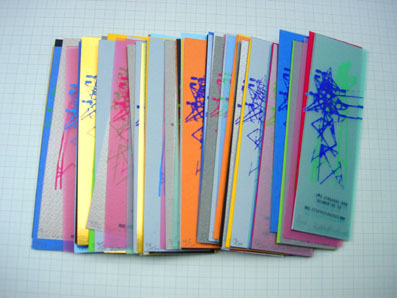 It is organised by the people at the Centre for Fine Print at UWE in Bristol. All the artists involved make 100 bookmarks and then they are divided into packs and distributed to venues for people to pick up for free. 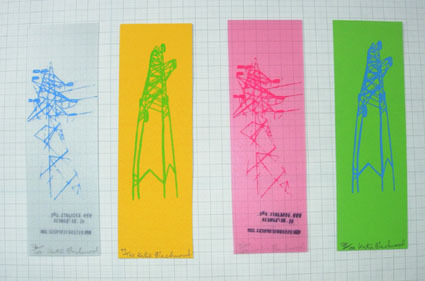 Here’s my contribution to the project – pylon bookmarks!